July 18th, 2018 CCP Rise laid out plans for Force Auxiliaries Balance Suggestions on the Eve Forums. The post has had 9.5k views, with 192 users posting over 400 replies to CCP Rise’s request for input on the topic and suggested numbers. J-space fights and small gang skirmishes are the most used examples being cited by capsuleers both for and against the changes. Special notes: Capacitor need increase is to keep cap cost/second consistent with current values. While the bulk of the comments were negative on the subject, nothing new for a balance post, there was a pilot with very balanced rebuttal to the changes, Arrendis. Arrendis’ post looked deep into the main most talked about examples to date, and disproved how “conclusive” they made the need for the nerfs. If you enjoy reading a well thought out reply, take a second and give their post a go, I don’t think you will be disappointed. 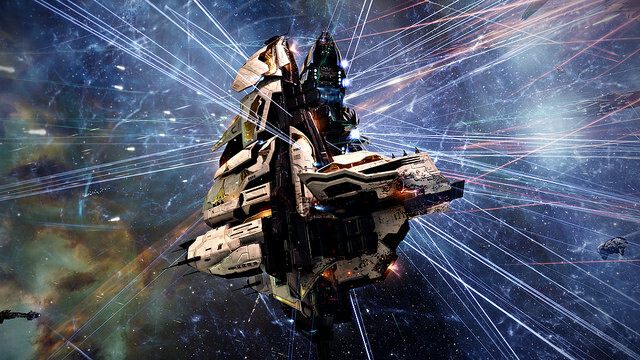 The one shining light from the post, “This is not set in stone and before we move forward we want to validate the need for such a large change with the community as a whole.” Some have already stated that if CCP is posting about it “figure it as gossip,” but as we have seen with recent Abyssal Deadspace balances they are listening to player feedback, even if they don’t take all of it as actionable. Therefore, if you’re a FAX pilot, a pilot that benefits from them, or think they’re over powered please add your voice to the forum thread for the community. A person essentially lend a hand to make severely posts I would state. This is the very first time I frequented your website page and thus far? I surprised with the research you made to make this particular post extraordinary. Wonderful process! It’s appropriate time to make some plans for the future and it’s time to be happy. I’ve read this post and if I could I desire to suggest you some interesting things or suggestions. Perhaps you can write next articles referring to this article. I want to read more things about it!